Apple, that darling of the tech world, has been in the news this week, not because of any new hardware it's releasing, but because of the way it's been handling its foreign earnings. 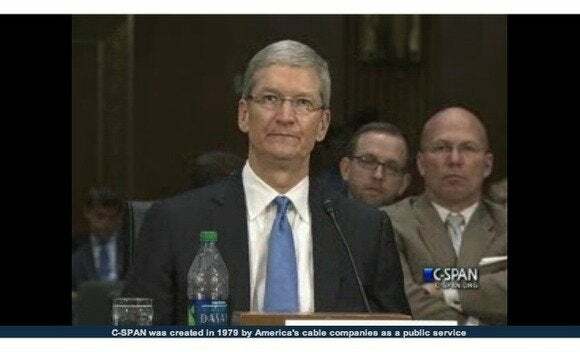 Dragged before the U.S. Senate, CEO Tim Cook was excoriated over allegations that the company is using an Irish subsidiary to avoid billions in taxes. Cook has denied the charges, saying, "We pay all the taxes we owe—every single dollar." And Cook is right. In simplified terms, Apple is a huge, multinational corporation, and it earns plenty of its money overseas. When you sell a product in Europe and leave the money you received for it in Europe, different rules apply, and the country in which the sales took place essentially gets first crack at the cash. As a U.S. company, you often don't have to pay tax until you repatriate the earnings by bringing them back to the homeland. The Senate would greatly prefer this not to be the case, though: Apple has $102 billion sitting in foreign accounts that would amount to over $35 billion in taxes if the earnings were repatriated. In comparison the company has only about $43 billion in its U.S. coffers. To be sure, the Ireland strategy is a little unsavory, involving five companies with the same address, some of which are managed by non-Irish residents. In a nutshell, this means these companies are neither based in the U.S. nor Ireland, an "absurdity," as Senator Carl Levin pointed out at the hearing. And yet, it's legal. At least for now. Apple isn't alone in all of this, and offshore tax strategies have been a hot topic on Capitol Hill for years, particularly with tech companies that make sales all over the world. Google, for example, recently stashed $10 billion in Bermuda, which saved the company $2 billion in taxes in 2011. So why can't your business do it, too? Like it or not, globalization is a real and growing phenomenon, and even small businesses are starting to wise up to the realities of how out-of-country sales can be managed and the vagaries of both domestic and foreign tax codes. In fact, if you want to get in on this offshoring business, it's something you might be able to do as well. What you need to get started is a foreign subsidiary*. You'll want to set this up in a low-tax region like Ireland or Belize (there are businesses out there than can do this for you), and channel any sales you make overseas through this holding company. You can leave it there (where it is technically "tax deferred") or claim that it is going to be "reinvested" overseas, which allows it to be taken off the books. Use the funds to make acquisitions, buy inventory that's later going to be sold offshore, or simply hold it as working capital. Is any of this legal? Offshoring has been a gray area for decades, and as long as American corporations have their footholds in Washington, it will continue to be so. It certainly doesn't seem to be going away any time soon. So why should the big guys have all the fun? * Disclaimer: I am not a tax or accounting professional. None of this should be treated as financial advice or a business recommendation of any kind.